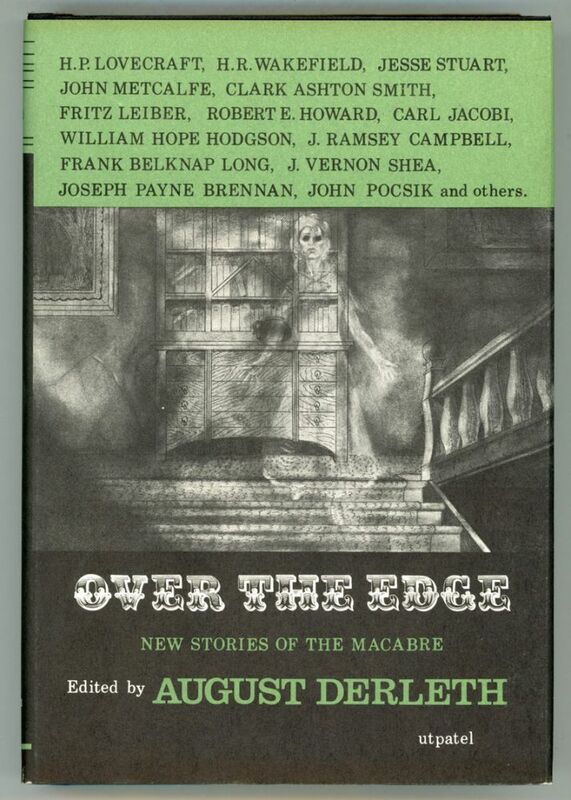 In John Pocsik's contribution to this 1964 Arkham House anthology, an occultist’s library includes The Book of Eibon, Cultes des Goules, Judge Pursuivant’s Vampiricon, and John Thunstone’s Myth Patterns of the Shonokins. The Book of Eibon and Cultes des Goules are tomes associated with the Cthulhu Mythos, and were created by Clark Ashton Smith and Robert Bloch respectively. 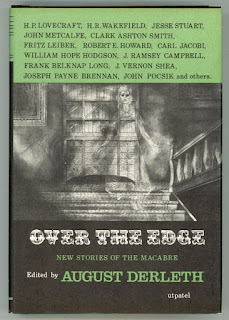 Judge Keith Hilary Pursuivant is the protagonist of a series of stories by Manly Wade Wellman; The Vampiricon is mentioned in the Pursuivant stories. John Thunstone is another Wellman hero, who sometimes battled the man-like creatures known as the Shonokins; however, the book Myth Patterns of the Shonokins is Pocsik’s invention.